In her new book author and guest speaker, Jennifer Castillo dives into the life of Siddhartha Gautama in The Buddhist Within. From a wealthy prince to a man on a mission for answers, Jennifer breaks down Buddhism in an easy to understand format for beginners. Imagine finding peace of mind right at the tip of your fingers. That is the ancient practice and art of Buddhism. 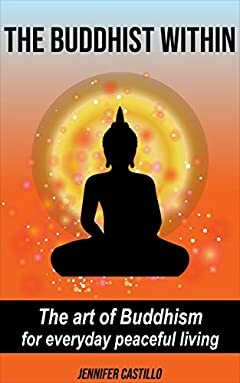 This book is divided into several easy to understand parts starting from the birth of Siddhartha and leading to his enlightenment as The Buddha. We will discover the surprising yet straightforward everyday actions that can add value to your life. Written in a blog style format, The Buddhist Within is easily understandable. These actions can be implemented to have a more Buddhist peaceful life now. It´s no secret that Buddhism has many benefits. Having been around for more than 2,600 years, Buddhism is beneficial because of the need to look within and find your inner peace and happiness. Take a walk into Buddhism today and let Jennifer be your guide. Take action today and download it to your phone, tablet, kindle or computer.